I’m slowly but surely catching up on my blogs (I think I said that in my last blog?) haha! But I am catching up and excited to share Danelle + Rambo’s Engagement session from a few months ago! 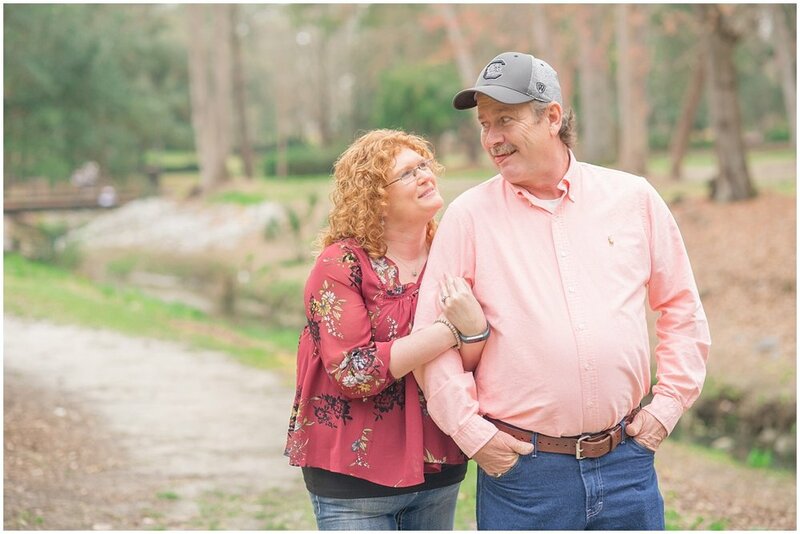 W chose to capture this fun time at Timrod Park in Florence, South Carolina. Danelle told me this would be one of the first times they had professional photos taken and were kind of nervous. They did absolutely fabulous during their session, I never would’ve thought this was a first. We laughed so much and I’d even venture to say the Rambo loves to make Danelle laugh and smile; both were certainly contagious! I have zero doubt that their wedding day will be nothing short of exciting and fun. I’m looking forward to being a significant part of their day. I have a feeling we will be doing all kinds of laughing and silly faces. I even included a few of Rambo’s silliness shining through below. All of my 2019 couples this year have been so unique and I love it! 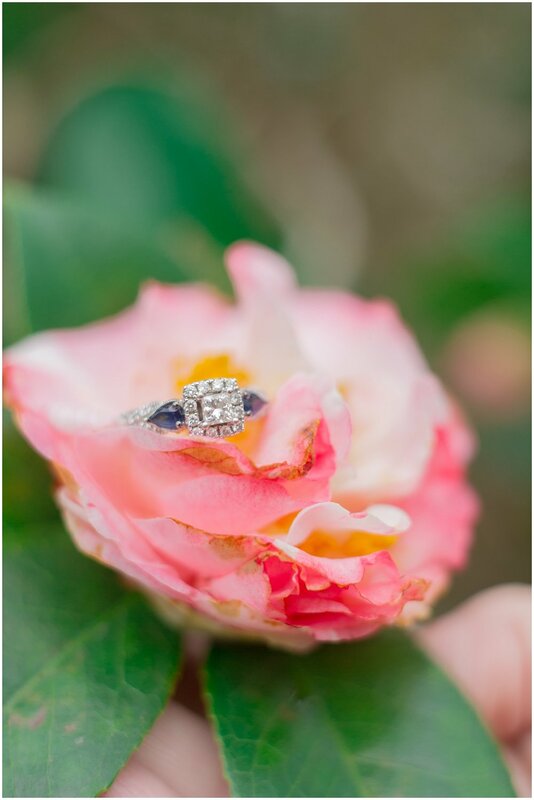 The other thing that has been so different with all my clients is their choice of engagement rings. Danelle’s ring showcased a gorgeous diamond but also sapphires that cradeled the diamond. I adore sapphires. Every time I see a sapphire I think of my momma and a sapphire tennis bracelet my daddy gave her one year. The whole story around that bracelet is pretty funny; long story short, my momma lost it at a hole in the wall pit stop my granpoppy had us eat at one time. He always had a knack for finding the BEST little places to grab hotdogs or fried bologna sandwiches. My dad has yet to let her forget about that bracelet; but I always think of it and the fact that sapphire is her birthstone. It’s always a silly memory. I love the extra bling the sapphire brings her diamond and I think it’s as fitting for her as her beautiful red hair! Danelle is going to be a stunning bride and Rambo a handsome groom! Their fall wedding is going to be nothing short of a blast and I, for one, am looking forward to having a great time with these two! 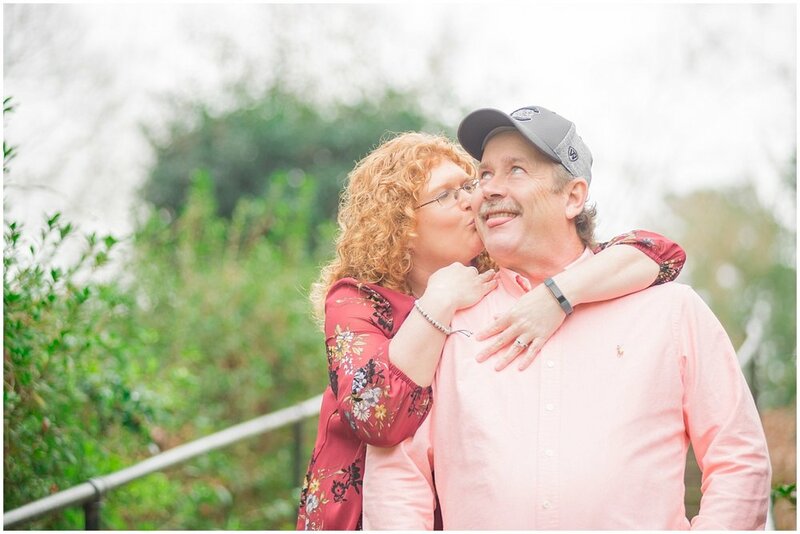 Take a peek at their fun engagement session and leave them some love!